Modernization of Kelantan: Madinatur Raudhah & Bazaar Tok Guru! Madinatur Raudhah and Bazar Tok Guru. 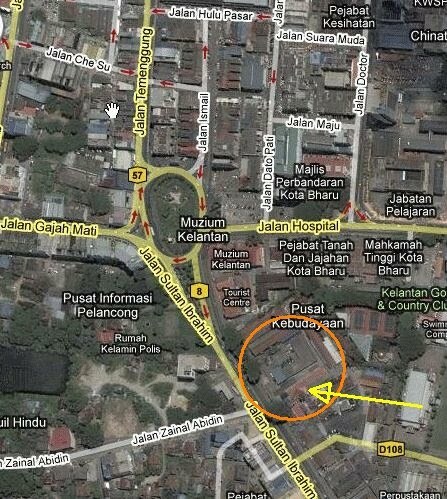 Both are located at the same location, in front of UiTM Kota Bharu City Campus at Jalan Sultan Ibrahim (nearby Post Office and about 150 meters from Tuan Padang Roundabout or ‘Bulatan Tuan Padang’ – formerly known as Bulatan Kijang). The gross built up area is approximately 5.9 acre. 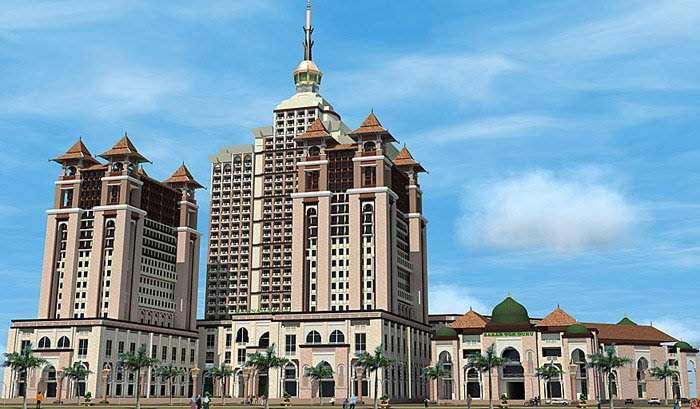 The development value of this project is approximately RM185 million. 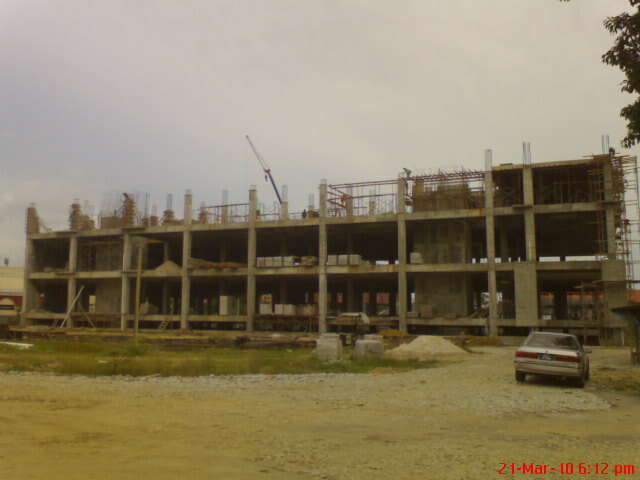 It consist of 3 block of apartment, 5 star hotel with 144 rooms, offices, shop lots or bazar. For apartment type, it has one bedroom apartment, two bedroom apartment and three bedroom apartment. 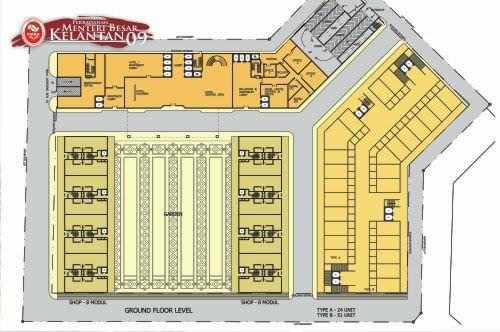 Total unit of apartment is 570, shop lots or bazaar 450 units, office 60 units. 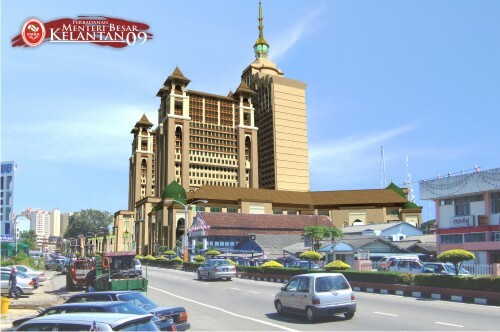 The bazaar will be the largest bazaar in east coast, targeted for local ownership. For your information, according statement from one of the MPKB arcade’s vendor, the construction of both projects have been divided into 2 phases , First phase, the construction of Bazaar Tok Guru as shown above, the project has been hurried because the firm that has been appointed (Sensa Timur) to reconstruct old MPKB arcade into, ‘probably’ MPKB Tower wants to begin their construction as fast as possible causing the vendor of an old MPKB arcade need to be transferred to Bazaar Tok Guru immediately. Second phase, the construction of Madinatur Raudhah has been categorized into second phase project and apparently, the construction not yet to begin its piling process and expected to starts its construction after the progress of Bazaar Tok Guru. PS: The price – not yet disclosed but the sales price will be very minimal and competitive to give an opportunity for small retailers to own a strategic asset in Kota Bharu town. This project is mainly targeted for local people. 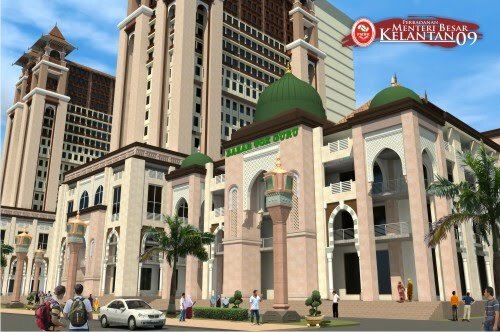 « KB Sentral: Kelantan New Landmarks! Terima kasih di atas segala maklumat yang dinyatakan oleh tuan. Maklumat ini berguna untuk saya yang diperantauan. same2. setakat mana yang saya boleh kongsi kepada umum.. saya akan teruskan.. Insya-allah. probably menara mpkb?ad rumours yg mengatakan mpkb nak buat menara dia kat situ ke ismail? Now in 2016, the BTG is complete but vacancy is high. Just the first floor is active. The design of this BTG is the typical design of any other commercial building by government (MARA etc).. try to maximize the number of shops with no concern whether such design is business-friendly or not.